Angelo Baggini is currently aggregate professor of Electrical Engineering in the Industrial Engineering Department at University of Bergamo. Since 1997 he has been a member of CEI TC14, 64 and 311, and he has been secretary of CENELEC TC14 since 2007. He is also a member of IEC SMB-SG1. 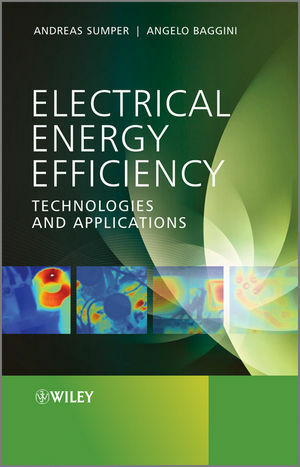 Angelo Baggini has authored over 200 technical and scientific papers in journals as well as international conference papers, and his book Handbook of Power Quality was published by Wiley in 2008. Andreas Sumper is lecturer in the Department of Electrical Engineering at the Escola Universitària d'Enginyeria Tècnica Industrial de Barcelona (EUETIB), Universitat Politècnica de Catalunya. He is also the team leader for power system research at the Catalonia Institute for Energy Research, IREC. His research interests include energy efficiency, power quality, power system studies and distributed generation. Andreas Sumper has authored over 100 technical and scientific papers.